In the name of Allah, the All-Merciful, the Ever-Merciful. All praise be to Allah and prayers and blessings be upon His Messenger (SAWS). Yesterday was the anniversary of the battle of Badr, and today we will talk about it. This battle occurred on Friday the 17th of Ramadan in the second year after migration. When the Prophet (SAWS) arrived to Madinah, there were many challenges: The migrants from Makkah who left their families, homes and properties were homeless and unemployed in Madinah. The nature of work in Madinah (farming) was different from what they were used to in Makkah (trade). Accordingly, their financial status was getting worse and they were getting poorer. Many of the poor migrants were called "Ahlul-Soffa" due to their abject poverty. The Prophet (SAWS) assigned a small place for them in his mosque, where they were to live until they find a better option. Furthermore, the customs in Madinah and the health atmosphere were totally different. The migrants felt lonely and estranged, being away from their homeland. As for the Ansaar (Muslims from Madinah), there was rivalry between the two tribes "Aws" and "Khazraj" even after they embraced Islam. They were challenging each other: which of them would play the key role in the new society? Besides, there were still some disbelievers from Aws and Khazraj in Madinah. As the power of Islam was growing, there appeared the new category of hypocrites in the Muslim society. They declared themselves Muslims, yet they held grudges and hatred towards Muslims and plotted against them. In addition, there were three major Jewish tribes controlling the economy of Madinah: trading grains, dates, liquors, and clothes, and even owning the water wells. The Jews felt they were far better than the Arabs, as they thought the last Prophet would be one of them. Hence, when the Prophet came from the Arabs, the Jews felt angry and envious. Outside Madinah, Quraysh was still there, monitoring the events and bearing in mind that the struggle did not end. 1- Building the mosque: not only for worshipping but also as a place where all Muslims (migrants and Ansaar, Aws and Khazraj) would meet, and their hearts and minds would converge. 2- Establishing brotherhood between migrants and Ansaar: by making one Muslim from the migrants live with a Muslim from the Ansaar. Hence, the problem of residence would be solved for the migrants, the migrants would teach the Ansaar about Islam, and the society would experience collaboration. 3- Setting a constitution of the rights and duties of citizenship for the inhabitants of Madinah: This would apply to the Muslims and the Jews, as they were to live together and co-exist in a new society based on the principles of Islam. Accordingly, the society started to move towards charity and goodness. People were very positive and reacted positively to what the Prophet (SAWS) did. Unfortunately, nowadays people in our countries are the exact opposite. Let us examine an example of charity in Madinah. A poor migrant went to the Prophet as he was homeless. The Prophet asked the Muslims to host that poor man for the night. A man and his wife from the Ansaar took the man to their home, and started preparing dinner; unfortunately, the food was not enough, and their children were hungry. They were really poor, but they wanted to do something good. We have to learn that charity and generosity are not restricted to rich people only; any body who loves Islam can do this. Well, the poor couple put their children to sleep without dinner, dimmed the light, and placed the food before their guest. They pretended that they were eating with him so that he would have all the food. They did this without intending to tell anybody in order to gain Thawab (reward) and be rewarded by Allah (SWT). In the morning, when they went to perform the morning prayer, they found that the revelation was sent with an Ayah to the Prophet (SAWS). Allah sent what can be translated as, " ... and prefer (the Muhajirn) above themselves, even though penury be (their portion)" (TMQ, 59:9). They wanted to keep it as a secret, but Allah (SWT) wanted to announce it; they wanted to do it faithfully for the sake of Allah, and Allah wanted the news to spread and good to prevail. After the prayer, the Prophet (SAWS) told them, "Allah is satisfied with what you did with your guest last night". Allah (SWT) did this because the society was very poor and needy, hence values of good and beneficence had to prevail. When we started the projects of Life Makers (collecting clothes and Ramadan bags), some people suggested doing it secretly without announcing the numbers. Well, announcing such acts helps people to imitate each other and accordingly, good prevails. Allah (SWT) says what can be translated as, "secretly and in public" (TMQ, 2:274). On the economical level, the society was very poor, but they moved towards developing all aspects of life. At that time the role of businessmen started. Othman Ibn-Affan, who was very rich, bought a water well from the Jews and offered it to the Muslims as a gift. The Prophet also set up a new market in Madinah, as the Jews were controlling the trade. This was to prepare new Muslim businessmen who would be able to shoulder the mission, e.g. Abdel-Rahman Ibn-Ouf. Youths also started having a role; 70 youths from the companions established a group to teach Ahlul-soffa some crafts (small projects) to practice by day like; turnery and smithery. At night, these youths used to teach them Qur'an. Those 70 companions were named "The Readers" because they taught people the Noble Qur'an. For their help in solving the economic problem in the society, Allah (SWT) rewarded them all with martyrdom at the same day. You can have a message in media, art, or business, and this would still be considered a big deed for Islam. Dear brothers and sisters! we have to note that good and beneficence does not only mean spending on orphanages or teaching Qur'an. At this time, the duties of Islam started to be revealed. Prayer was obligated during Al-Israa and Al-Mi'raj, but each prayer consisted of 2 Raka'as (unit of the prayer). However, in Madinah they were set to what we know now. Forms of worship were set here because Muslims were in need for a huge spiritual boost. Fasting was ordained for the first time in Madinah, two years after the migration. Hijab was set as a duty, and Zakat too because the society needed money and funding. Notice that everything in our religion was revealed at the right time, when the society needed it. Creativity found an outlet as well: using the Mimbar (pulpit) was the idea of a woman from the companions. She told the Prophet (SAWS) that to achieve better communication, he should stand on a high place to see the people and to be seen by them while delivering his speeches. As for the Adhan (call for prayers), Muslims were wondering how to gather people for prayers. They wanted to have some method that is different from other religions. Abdullah Ibn-Zaid, one of the companions had a dream that a man taught him the words of the Adhan. He told the Prophet about the dream and the Adhan wording, and the Prophet said that it was a good vision. This man was thinking hard for the sake of Islam, and this was why Allah (SWT) guided him to what he was seeking. If you love Islam and dream for it, Allah (SWT) will send you ideas. Can you see that Abdullah is gaining Thawab until the Day of Judgment because he cared for Islam and dreamt for it? Notice that the Prophet (SAWS) asked Belal to make the call for prayers with the Adhan because he had a beautiful voice. Islam cares a lot for values of beauty, and the Prophet wanted the Adhan to be performed in the best way. The Prophet (SAWS) represented a role model for the people in this society. They were very poor, and when one of them went to the Prophet to complain of hunger, he found the prophet in the same state too. The Prophet never ate except after the people ate; months would pass before any cooking would be done in his house, and he mainly ate dates and water. Being such an example, the Prophet helped the people to be patient. If you can visit the houses of his wives, you will find them very small, although at that time they used to have big and nice houses. Prophet Muhammad (SAWS) set an example in selflessness as well. One time when it was very cold during a winter in Madinah; a woman from the Ansaar weaved a woolen outfit for the Prophet (SAWS). The Prophet was very happy to have it, and wore it for Fajr prayer. One of the Ansaar saw it and said, "What a beautiful outfit! Would you give it to me, Messenger of Allah?" The Prophet (SAWS) immediately took it off and put it on the man. The companions blamed the man for doing this, but the man said, "I didn't want it because of the cold, but to be shrouded with it in my grave". As for the situation outside of Madinah, the conflict between truth and falsehood did not end, although the "truth" left Makkah. Actually the battles and wars would start. There is something very important we have to note: within the current world events, we are not ashamed of Jihad, or of the Prophet's ahadith about martyrs and mujahedoon (fighters for the sake of Allah). We have to understand the reasons behind the Prophet's jihad. Remember the first words for the Prophet (SAWS) when he entered Madinah, "O people! Spread peace among you ...You will get in Jannah peacefully". The Prophet hated spilling blood; the total number of those who got killed during all the battles of the Prophet was 400, in 17 or 18 battles. The Prophet could have turned battles into blood baths, especially when conquering Makkah, but he did not. The Prophet (SAWS) got into these wars only for the sake of the Message. The Prophet wanted Quraysh to allow him to convey his message to the whole of mankind. Then they would be free to choose, because embracing the message cannot be enforced. Leaving Makkah was a solution for the Prophet because he was at a safe place where he was able to communicate his message freely to people. The Prophet (SAWS) did not escape from Makkah to live a luxurious life. Nevertheless, Quraysh was still an obstacle in the way of delivering the message. Arab tribes refused to listen to the Prophet because they had treaties and they allied with Quraysh, so they feared spoiling their relations and interests with them. The Prophet (SAWS) insisted on delivering the message of Allah, even if he was obliged to go into war. On the day of the battle of Badr, Otba Ibn-Rabi'a said, "O people of Quraysh! Let's get back to Makkah. Let Muhammad deliver his message to the people. If the Arabs kill him, you will be relieved. If he conquers the Arabs, his glory and honor is then yours." Abu-Jahl told him, "What a coward you are! Do we leave our money?" Again the problem was the personal interests: money, positions, superiority, idols, and the treaties with Arabs. The Prophet (SAWS) felt that if there would be no solution but war in order to deliver the message, then he would go for it, even he would get killed. Remember that many of the companions were deprived of their money and properties when they left Makkah; even the Prophet's house was taken and sold. The Prophet would never leave the rights of these people, and the ones who were killed, like Somaya. One may ask, why didn't the Prophet fight them when he was in Makkah? No! The Prophet respected his home and its system; he respected the rights and duties of citizenship. He knew he had no right to destroy his hometown. But after going to Madinah, he and Quraysh became two separate entities. Above all, Quraysh was preparing itself to fight the Prophet anyway. So the Prophet's wars were not defensive, and at the same time Islam did not prevail by the sword. The whole issue lies in the fact that the prophet (SAWS) wanted Quraysh to give him the opportunity to deliver his message to the people, but they refused. Something very important then happened: the Kiblah (direction of prayer) changed from Bait Al-Makdis (Jerusalem) to Makkah. It is as if Allah (SWT) wanted them to focus on Makkah, because it is a strategic place and the center for all Arabs. The Prophet (SAWS) started preparing his army for the struggle between truth and falsehood. He knew that there would be a battle with Quraysh. The Prophet (SAWS) asked the companions to get him a statistical report with the number of Muslims, those who could use weapons, and those who were literate. He wanted to determine the strength of the army he could prepare, and he knew that this religion would only spread through knowledge and education. The Prophet (SAWS) also established an intelligence service to make comprehensive investigation and research throughout the Arabian Peninsula, especially the roads between Makkah and Madinah. They were divided into small groups led by Talha Ibn-Obaidullah and Said Ibn-Zaid (Omar's brother-in-law), who were both promised to enter Al-Jannah. The Prophet ordered them to move in a small group of eight or ten people in the road between Makkah and Madinah and study it by heart, and track all the movements that occur there. They kept working for two years, getting all the possible news and information, passing by all the tribes on the road to convince them to be neutral. Furthermore, the Prophet (SAWS) sent brigades to move through the road between Makkah and Madinah, as a kind of training and in preparation for the war. All these brigades consisted of the migrants and did not include anyone from the Ansaar, because the migrants knew the road better. Two months before the battle of Badr, the Prophet (SAWS) sent a brigade led by Abdullah Ibn-Jahsh. The Prophet gave him a sealed letter and told him to open it after two days. After two days, Abdullah read the letter which instructed him to go to a place between Makkah and Taif, a place very close to Makkah in order to get news and information about Quraysh. The Prophet knew the value of the intelligence service and the benefit of knowing the enemy's strength. The Prophet sent this brigade in the inviolable months (in which no warfare is permitted) to prevent any struggle or fight with Quraysh. He also instructed Abdullah not to force his companions to go with him. They all agreed to proceed, but two of them got lost and were captured by Quraysh (one of the two was Saad Ibn-Abi-Waqas). This happened on the last day in Rajab, and the companions were unsure as to what their reaction should be. At the same time a caravan of Quraysh was passing by them. The companions were not in agreement; some wanted to capture two from the Quraysh caravan, and others felt that this would be against the Prophet's orders, especially during the inviolable month. The final decision was to capture two from Quraysh for revenge. They shot an arrow, and it killed the caravan's leader. They unfortunately killed a man during the inviolable month, and got two captives before going back to the Prophet (SAWS). Once Quraysh knew of this incident, they spread the news that, "Muhammad killed in the inviolable months". The Prophet (SAWS) was very angry at Abdullah Ibn-Jahsh, until Allah (SWT) sent an Ayah that can be translated as, "They ask you concerning the Inviolable month, (and) fighting in it. Say, "Fighting in it is great (transgression); and barring from the way of Allah, and disbelief in Him and the Inviolable Mosque, and driving its population out of it, is greater (transgression) in the Reckoning of Allah; and temptation is greater than killing." (TMQ, 2:217). The Qur'an admitted the mistake committed by the Muslims, but declared that what Quraysh did was far worse. This applies nowadays to terrorism and violence; such acts are unjustified, unacceptable, and wrong, however, the absence of justice, truth and freedom is what led to all this. The battle of Badr was the first battle between Muslims and Quraysh, and the first victory for Islam and the truth against Quraysh and falsehood. This battle is very important in history, and Allah (SWT) called it "The Day of the Criterion." Allah (SWT) says what can be translated as, "and what We sent down upon Our Bondman on the day of the all-distinctive Criterion, the day the two gatherings encountered" (TMQ, 8:41). Allah called it "Criterion" because it was a criterion distinguishing between right and false, values of justice and rightness and personal interest, and Quraysh's leadership and the Prophet's new leadership. Before Badr, Quraysh was in control of everything, but after it all the Arabs started to recognize the new power of the Prophet (SAWS) and got attracted to listen to him; the message started to spread everywhere. This resulted in a big change in the history of humanity. Quraysh sent a caravan to the Levant led by Abu-Sufiyan, with a thousand camels and 10 thousand dinars. What an amount of money!! Note that this is the money of the companions who were deprived of it and of their properties when they left Makkah. The caravan was on its way back to Makkah, and was guarded by only 40 men, because Quraysh felt safe due to its treaties with the Arab tribes. Thanks to the intelligence service conducted by Said Ibn-Zaid and Talha, the Prophet (SAWS) knew of that caravan. The caravans coming from Levant used to pass by Madinah on their way to Makkah. The Prophet told the Muslims that Allah (SWT) would compensate them with the money of the caravan instead of what they lost when they emigrated. Remember when the Prophet planned to leave Makkah, he returned the valuables and money that were entrusted to him to their owners. Why didn't he take it to compensate the Muslims' rights that were seized by Quraysh? Isn't this a contradiction? How could he think now of attacking the caravan to take the money? The Prophet was trusted to keep the valuables and money in Makkah, and he knew that ethically this trust could not be betrayed. Besides, the Prophet was then a member of that society, and according to the code of citizenship the Prophet (SAWS) could never think of harming his society. But now, as a separate entity, the Prophet decided to regain the Muslims' rights that were previously seized by Quraysh. The Prophet also aimed at warning Quraysh that he was able to obstruct their trading and traveling routes, so it would be better for them to let him communicate with people to deliver his message, instead of waging war. It is as if he was telling them that he did not want to fight. However, Quraysh was stubborn. The Prophet's army consisted of 313 companions. Abu Sufiyan knew that the Prophet (SAWS) was preparing an army, and he sent Amr Ibn-Damdam to tell Quraysh that the Prophet was planning to attack the caravan. That man tore his clothes and stained himself with blood before entering Makkah. He entered Makkah screaming "Help! Help! What a disaster! What a disaster." He falsely claimed that the Prophet Muhammad attacked Quraysh's caravan and took the money, although it hadn't happened yet. Abu-Jahl swore that they would go to fight the Prophet that night, and he quickly prepared the army. Three days before that, Aateka the Prophet's aunt who was living in Makkah had a dream that a man was calling the people of Makkah "O people of betrayal! Your end is after three days," then he threw some dust that was scattered into all the houses of Makkah. She knew that this meant something bad would happen in the town, and she told her brother Al-Abbas who told Al-Walid Ibn-Otba. The news spread, and Abu-Jahl started mocking Al-Abbas. He swore that if after three days nothing happened, he would hang a document in the Ka'ba declaring that Bani Hashim are the worst liars among Arabs. So, when Amr Ibn-Damdam brought the news, the army was prepared and consisted of 950 fighters, 200 of which riding horses, while the rest riding camels. An additional 100 camels were taken to feed the army. The Prophet was going to meet the caravan and did not plan for a battle. He took only 313 fighters riding two horses and 70 camels. Every three people shared riding a camel. The distance was 150 kilometers, and each of the three rode 1/3 the distance while the others walked. The Prophet (SAWS) was with Ali Ibn-Abu-Talib and another companion. Ali and the other companion were young so they wanted to walk and let the Prophet (SAWS) ride the camel, but he refused because he was so keen on gaining Thawab. Dear brothers, you should be ambitious about gaining Thawab. Abu Sufiyan changed the direction of the caravan and followed another route away from Madinah. Then he sent to Quraysh to inform them that the caravan was safe. All of Quraysh's leaders, especially Utba Ibn-Rabi'a, wanted to return rather than fight. But Abu-Jahl refused, as he wanted the Arabs to know that Quraysh was still powerful and dominant. Note that there were two men who did not go with the Quraysh army: Abu-Lahab and Omaya Ibn-Khalaf. Abu-Lahab was scared, and so he hired a man to replace him in the army. Yet, he was destined to die in Makkah. He was hitting a young servant of Al-Abbas, when the maid of Al-Abbas hit him with a piece of iron on his head. As a result, he was afflicted by a skin disease, and his skin started to fall until he died. His people feared to approach him because of the infection, and instead of burying him they pulled down the house over his body. As for Omaya, he was the one who used to torture Belal. One time while he was torturing Belal, he told him, "The Messenger of Allah told us that we will kill you." He believed him and asked if it would happen in Makkah or outside, but Belal did not know. He was really scared to go to the battle. Abu-Jahl's friend mocked him for his fear and cowardice, so he went with Quraysh and he was killed in the battle. There were two men who were forced to go to the fight with Quraysh: Al-Abbas Ibn-Abdel-Mutalib, the Prophet's uncle, and Abul-Aas Ibn-Al-Rabi', the Prophet's son-in-law. Abul-Aas was still living with Zeinab, the prophet's daughter, in Makkah. Note that at the time, the prohibition of the marriage between Muslim women and non-Muslim men was not yet revealed. Abul-Aas was forced to fight with Quraysh against the Prophet in order not to be considered a coward. The Prophet's army included both migrants and Ansaar. The agreement between the Ansaar and the Prophet stated that they would defend him inside Madinah, but this battle was outside Madinah. The Prophet (SAWS) respected the limits of the agreement, and so he humbly sought advice from the fighters. He did not ask the Ansaar directly because he did not want to embarrass them. Some companions from the migrants talked and supported him enthusiastically, yet, he was waiting for the words of the Ansaar. Finally, Saad Ibn-Moaz, leader of the Aws tribe, spoke. As he knew the Prophet was concerned about the Ansaar's stand, he told the Prophet that they would fight with him until the last breath and would go with him wherever he went. He told the Prophet to take from their money what he wished, to hold peace with whoever he wished, or wage war against whoever he wished, and in all cases he will find them to be honest, loyal, and supportive that he may be satisfied with them. Can we say such words? Can we promise the Prophet (SAWS) that he will be satisfied with us on the Day of Judgment?? The Prophet (SAWS) adopted an innovative strategy. Quraysh was used to the technique of attack and flight; however, the Prophet (SAWS) set the whole army in one long row, hiding another row of archers behind them. When Quraysh would attack, the archers would shoot their arrows and confuse the fighters. The prophet (SAWS) wanted to estimate the strength of the Quraysh army. He sent Ali Ibn-Abu-Talib and Az-Zubair Ibn-Al-Awwam as an investigation team. They caught a servant who was responsible for providing water to Quraysh's army. They hit him until he confessed, wrongfully, that he was a member of the caravan of Abu-Sufyan and not the army, because this is what they wanted to believe. The Prophet (SAWS) told them, "You hit him when he tells you the truth, and you leave him when he lies to you!" He then asked him, "How many people are in the army of Quraysh?"" The man answered, "I have no idea." The Prophet (SAWS) then asked him, "How many camels do they slaughter?" The man replied, "Sometimes nine and sometimes ten." The Prophet (SAWS) inferred, "The army ranges between 900 and 1000." Notice how the illiterate Prophet could calculate it! The Prophet (SAWS) then asked him, "Who is in the army?" The man replied that all the chiefs of Quraysh were there. The companions of the Prophet were scared because they knew their power was not compatible with Quraysh's. 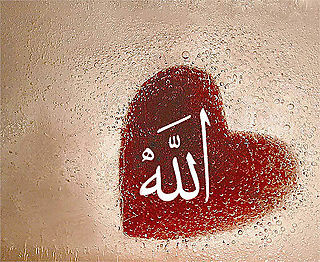 In order to pull their spirits up, the Prophet (SAWS) immediately said, "Allah is the greatest! Quraysh has thrown to you the best of their sons." Note how much the Prophet (SAWS) cared about intelligence and preparations being two crucial factors in war. The Qur'an talks about the battle in what can be translated as, "As you were on the closer embankment, and they were on the remotest embankment" (TMQ, 8: 42). The Muslim army stood in Udwat duniya (the closer embankment) and the Quraysh army stood in Udwat al-Quswa (the farthest embankment). The two armies could not see each other, and the area between them would become the battlefield. The caravan of Abu-Sufyan was now far away from the battlefield. "...and the cavalcade (of riders) was below you" (TMQ, 8: 42). "...and if you had made a mutual appointment, you would indeed have differed about the promised appointment, but that Allah might decree a Command that was to be performed" (TMQ, 8: 42). What is the significance of the places of the two armies? Look at this miracle! Allah is going to make it rain. The nature of the land of the farthest embankment is that when it rains it becomes muddy. Thus, the movement of the fighters would become hard leading the army to be exhausted; whereas the land in the closer embankment is solid, so it would become easier to walk on when it rains. All thanks be to Allah! Notice, the timing of this miracle! When the Muslims demonstrated their belief and strength, so they became worthy of the support of Allah. "Surely His Command, if He wills a thing, is only to say to it, "Be!" and it is" (TMQ, 36: 82). Isn't this nation humiliated nowadays? It could be tomorrow the greatest among nations. It's very easy and Allah is capable of that; but do we deserve it? Allah has His own enactment in the universe. He does not favor anyone. The idle one who does not have a message to carry to the world does not deserve Allah's help. On the night of the battle, it began to rain, and Quraysh got soaked. Their great number turned out to be a disadvantage as they could not move freely; whereas the small number of the Muslims turned out to be an advantage as they were light and they moved easily. The Muslims were afraid and felt apprehensive for the non-compatible battle. Allah says what can be translated as, "As also as your Lord brought you (The prophet) out of your home with the truth, and surely a group of the believers indeed are hating that. Disputing with you concerning the truth, after it had become evident, as though they were being driven to death while looking (at it)" (TMQ, 8: 5-6). It was Allah who decided the time and place of the battle. It was as if the battle of Badr was led by heaven; angels are even going to descend after a little while in order to help the Muslims. Being anxious, the Muslims could not sleep at night. Allah sends another miracle and describes it in what can be translated as, "As He was making drowsiness to envelop you as secure (reassurance) from Him, and sending down on you water from the heaven to purify you thereby, and to put away from you the chastisement of Ash-Shaytan, (The all-vicious: one"; i.e., the Devil) and to brace your hearts, and to make firm (your) feet thereby (TMQ, 8: 11). In the battlefield, the Muslim army stood behind water wells so that the wells were between them and Quraysh. One of the companions, Al-Hobab Ibn Al-Mundher, asked the Prophet (SAWS), "Has Allah ordered you to choose this place for the battle? Or is it a war plan?" The Prophet (SAWS) replied that it was a war plan. Al-Hobab then said, "The choice of this place is inappropriate." The Prophet (SAWS) asked him, "So, what do you suggest, Hobab?"" He replied, "I think we should fill up all the wells but one, and place our army in front of it. Thus, we can drink while they cannot. Being thirsty, they are going to fight us for water, while we are going to fight for our cause." The prophet liked his suggestion and implemented it. Have you seen anywhere where the individual's opinion is respected thus? One of the main causes of the passiveness of people is that they know that their opinion is not going to be heard or taken into consideration. How great is our Prophet in each and every aspect! As the prophet (SAWS) prepared the army, he addressed them concerning Jihad and its virtues. Any country on the verge of war encourages its fighters to be brave and courageous. There is nothing to be ashamed of in relating the sayings of the Prophet (SAWS) concerning Jihad and martyrdom in its appropriate place. As long as it is not cited to encourage destruction in our land. This is the first Hadith talking about Jihad, "Vie swiftly for a garden whose breadth is the heavens and the earth." Meaning that whosoever dies today in the battle will be admitted to paradise. There comes the Ahadith of Jihad, in their due time. Thus, we conclude that the religious discourse should be in the appropriate time and place; not anything can be said at any time. We should not make use of the enthusiasm of youths by the Ahadith of Jihad when said in a wrong timing. Umair Ibn-Al-Himam, one of the Prophet's companions, wondered, "How wonderful!" I wish I could be one of the inhabitants of paradise today." The Prophet (SAWS) told him, "You shall be one of its inhabitants." When Umair said these words, he was eating some dates before going to battle. He threw them immediately as to not waste any more time and went fighting until he died as a martyr. He was one of the very first martyrs of Badr. Other martyrs included Haritha. He was an eighteen-year-old young man who was a devoted worshipper to Allah. He used to pray Qiyam (night prayer). Before the battle, he was mistakenly shot by an arrow. His mother came to the Prophet (SAWS) crying and asked him, "O, Prophet of Allah, is my son in paradise so that I can rejoice? Or is he elsewhere so that I have right to lament him?" The Prophet replied, "Mother of Haritha, it is not one paradise that your son got into but many; your son is in the highest level of paradise." An eighteen-year-old young man is in the highest level of paradise! This is because he frequently prayed Qiyam during Ramadan and prostrated himself to His Lord. Such people are the ones who deserve the highest level of paradise. The battle began when three fighters from Quraysh stepped forward for man-to-man combat: Otba Ibn-Rabi'a, Shaiba Ibn-Rabi'a and Al-Walid Ibn-Otba. Three Muslims from al-Ansaar stepped forward to fight them, but they refused and demanded to fight their peers (from the migrants). The Prophet (SAWS) chose the following three: Ali Ibn-Abu-Talib, Hamza Ibn-Abd-Al-Muttalib and Abu-Ubaida Ibn-Al-Harith Ibn-Abd-Al-Muttalib. Note that whenever sacrifice was required, the Prophet (SAWS) sacrificed his own family, not strangers. Are you convinced now that there is no one in the whole world who is great in every aspect except our Prophet (SAWS)? The result of the fight was the death of Al-Walid and Shaiba by the hands of Ali and Hamza, respectively. However, Otba and Abu-Ubaida kept fighting until Abu-Ubaida's leg was cut. When he was in his last breath, he looked at the Prophet (SAWS) asking him, "Have I done my duty, Prophet of Allah?" Do you see the extent of love and loyalty? The Prophet (SAWS) then said, "O, Allah. I call You to witness that Abu-Ubaida has done his duty." Have you done your duty towards the Prophet? All this sacrifice happened so that Islam, truth, and reform are spread; have we done our duty towards him? Then a full-fledge battle began, and the leaders of Quraysh fell one after another. A great surprise happened from two boys. The right wing of the Muslims, was led by Abdul-Rahman Ibn-Awf (RA), and consisted of only 15-20 people. He saw among his soldiers a fifteen-year-old boy called Mu'adh and his cousin, a fourteen-year-old boy, called Mu'awwedh. One of the two boys tugged at his clothes and asked him, "O Uncle, where is Abu-Jahl?" Abdul-Rahman Ibn-Awf was surprised and asked him about the reason for his question. He told him that his mother told him not to return home unless he killed Abu-Jahl. Then the other boy asked him the same question and told him the reason he was looking for Abu-Jahl, "I heard that he abused the Prophet (SAWS), which is something I cannot bear. I swear that I am going to take revenge for the Prophet (SAWS)." Abdul-Rahman Ibn-Awf said, "They lifted my spirits. I have never experienced such a feeling of admiration as I felt towards these two young men". The Sunnah of the Prophet (SAWS) is forsaken nowadays. Who is going to defend the Prophet nowadays? This is not a call for murder or committing suicide; it is a call for reforming our country for the sake of the Prophet, so that we deserve to be part of his nation. On a side note, the prophet did not allow children to participate in wars, in respect for the children's rights. However, he allowed these two boys after their insistence and after they proved to him that they can handle being in the battlefield. The two boys ran like two swift arrows. They tied the swords around their arms as they could not carry them in the normal way, being very young. They agreed on a plan. Mu'adh told Mu'awwedh, "You stab the horse so that the man falls and I am going to stab him." They implemented their plan as they intended it. However, Ikrima Ibn-Abu-Jahl ran after them and cut the arm of Mu'adh so that it was left barely hanging from his shoulder. Mu'adh said, "I found that my cousin was going to reach the Prophet before me; I wanted to deliver the good news to the Prophet before him. I put my arm under my leg and I took it off so that it would not be an obstacle in my way to the Prophet. Then, I ran to the Prophet telling him the good news of the death of Abu-Jahl." Abdullah Ibn-Mas'oud, the weakest among the companions of the Prophet, went to verify the truth of this piece of news. He found Abu-Jahl in his last breath, so he killed him. The irony is that the death of Abu-Jahl took place at the hands of two teenagers and the weakest man from the companions of the Prophet. The Prophet announced to the army not to kill Abul-Bukhturi Ibn-Hisham, as a sign of gratitude to him for his attitude with the Muslims on the days of the siege. Note the military ethics of the Prophet (SAWS), these ethics which the world has only known after World War Two. When one of the companions of the Prophet saw the man, he avoided him instead of fighting with him. The man was amazed, and he asked the companion of the Prophet, "Why don't you fight me?" The companion replied, "The Prophet ordered us not to fight you." The man was amazed and he wondered why. The companion replied, "In order to show our gratitude for what you did with us on the days of the siege." However, he ruthlessly asked him, "What if I started the fight with you?" The companion answered, "I'm going to flee from you, in obedience to the Prophet's order." The man kept chasing him until the companion was forced to kill him to defend his life. He went to the Prophet afterwards crying and apologized that he was forced to do so in order to defend himself. The Prophet (SAWS) replied, "Take it easy. I just wanted to show them that we have gratitude." Angels descend at the end, not in the beginning, of the battle. This is because the Prophet (SAWS) in the beginning of the battle prayed and supplicated to Allah for a very long time. "O, Allah; if this group of believers are defeated, You shall not be worshipped on earth anymore." It was not a matter of victory for the Prophet (SAWS); his main concern was the message, and he was crying. This is the meaning of "...indeed Allah readily granted you victory at Badr, and you were humble" (TMQ, 3: 123). You should be humbled to Allah in Ramadan so that He grants you victory after Ramadan. Jibril (AS) (Gabriel) descended with a thousand of angels in order to stand by the believers. "As Your Lord was revealing to the Angels, (saying), "I am with you; so make the ones who believe stand firm. I will soon cast into the hearts of the ones who have disbelieved horror; so strike above the necks, and strike every finger-tip of them" (TMQ, 8: 12). This is a very important lesson for you, Muslims, to learn. You should put your trust in Allah; however, at the same time, you should exert your maximum efforts. Badr is a very important lesson - well planning then a miracle from Allah; the battle was lead by heaven and at the same time there was a lot of effort exerted on earth. Courage and seriousness on the part of the Muslims, and at the same time rain and angels from heaven. The result was a crushing victory for Muslims. Everyone who harmed the Muslims in the past was taken revenge from. Seventy of the leaders of Quraysh were killed. even Abu-Lahab, who refused to join the army died in Makkah in a horrible way. The Prophet (SAWS) dug a pit called Al-Qulayb, in which the bodies of the 70 dead people from Quraysh were buried. He stood in front of the grave and asked, "Have you found what your Lord promised to be true?" The battle resulted in the death of fourteen of the Prophet's companions, 13 of which are from al-Ansar and only one from the migrants; their pledge with the Prophet (SAWS) was a deal on sacrifice until the last breath. Are you going to dedicate your lives to the message of the Prophet (SAWS)? Are you going to love the Prophet (SAWS)? Is the Prophet (SAWS) going to be satisfied with you? Are you going to tell him that you have done your duty towards him ? Amr Khalid is an Egyptian Muslim activist and preacher. The New York Times Magazine, in reference to Khaled's popularity in Arab countries, described him in its April 30, 2006 issue as"the world's most famous and influential Muslim televangelist. Amr Khaled has recently been chosen as number 62 of the world's most influential people by Time Magazine. This is your nice post.This is a beautiful way to share the knowledge and provide the update to people. People will able to know the history and Quran and Sunnah has all clear direction to live prosperious life on the earth. people should understand and follow their life according to Quran and Sunnah.